Micro-Lock Fibers! New, breakthrough technology for stronger, better-cleaning wipes. 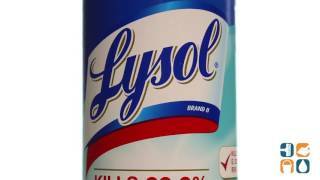 Lysol Disinfectant Wipes with Micro-Lock Fibers have three types of fibers which are treated and woven together in a hydroentanglement process for greater durability and abrasion resistance. Convenient, premoistened, disposable towelette wipes in pop-up container. 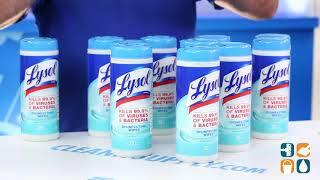 Lysol disinfectant kills germs, also Kills Flu Virus! No bottle, no sponges, no spills, no mess. EPA Registered. Excellent for keeping in your car, taking on trips in public places, in the classroom or office or any other area that may harbor germs that will get you or your family sick.